Bellingham Politics and Economics: Whither the anti Coal Terminal voters? Whither the anti Coal Terminal voters? 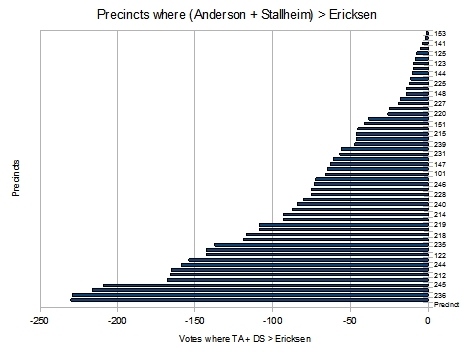 Interestingly enough, the total of all such votes (4130) is very nearly the lead Ericksen has over Stallheim. It is useless enough to generalize about a primary that only attracts 37% of all voters. Still students, environmentalists, doctors, and Bellingham business people will be deprived of a vote against the Coal Terminal in the final election bar the entrance of a write-in candidate. I propose someone against the coal terminal run as a write-in candidate (if that is possible). The student vote alone will probably add another 32K votes for such a candidate. For many of us, Louws vs. Ericksen isn't much of a choice.